Ms. PENG joined Liu, Shen& Associates in February 2009. Ms. PENG is qualified as a patent attorney in 2011. Ms. Peng’s practice includes patent prosecution and counseling. Ms. PENG specialized in Automobiles (especially driving, airbags, bearing means, transmission, display and control systems), medical equipments (in particular MRI equipments, ultrasonic inspection method, X-ray tube), paper machine and papermaking method (especially drying cylinders, filters, the method of preparation and handling of the suspension), electrical equipment (especially electromagnetic actuator devices, switching devices, adapters), wind power generation equipment, construction machinery (especially tamping equipment). 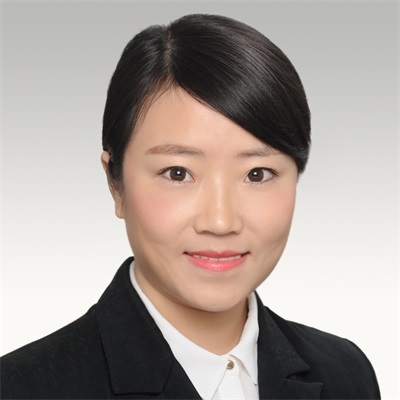 Ms. PENG was graduated from Tong Ji University with a master degree of mechanical engineering and graduated from Chang an University with a bachelor degree of mechanical engineering in a major of construction machinery. 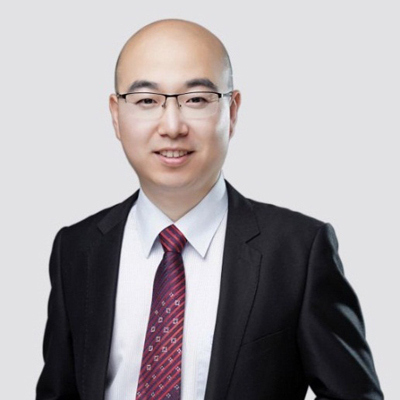 Mr. Peng began his legal career in patent laws in July, 2002 and joined Liu, Shen & Associates in April, 2005. Mr. Peng obtained the qualification as an attorney at law in 2003 and obtained the qualification as a patent attorney in 2004. Mr. Peng’s current practice mainly focuses on patent enforcement including patent litigation and administration proceedings, patent prosecution and invalidation in the technical fields of mechanical engineering, material science, semiconductor device and process, display device, and so on. Mr. Peng’s services also include providing clearance opinions and patent strategy consultations for corporations, providing legal advice, and giving training on patent laws and related issues. Also, Mr. Peng has assisted Chinese applicants in patent application filing and prosecution with foreign patent offices, such as USPTO, EPO, JPO, KIPO, etc. Mr. Peng obtained a bachelor degree and a master degree for material science and engineering from Tsinghua University in 2000 and 2002, respectively. Mr. Peng further obtained a master of law degree (LLM) from The John Marshall Law School in the United States of America in 2009. - Siemens v Beijing Lida Huaxin (2008), patent infringement litigation and related patent invalidation, Beijing First Intermediate Court (First Instance), representing the plaintiff (patentee). The infringement litigation was settled before the Court and the defendant paid damages of RMB 4 Million to the patentee; the related patent was held valid in the patent invalidation proceedings. - Staubli v. Nibo Xiaohui (2010), patent infringement litigation and patent invalidation, Ningbo Intermediate Court (First Instance), representing the plaintiff (patentee). The infringement litigation was settled before the Court and the defendant paid damages of RMB 100,000 to the patentee; the related patent was held valid in the patent invalidation proceedings. - Staubli v. Shanghai Chaocheng (2010), patent infringement litigation and patent invalidation, Shanghai First Intermediate Court (First Instance) and Shanghai High Court (Second Instance), representing the plaintiff (patentee). The Court decided in favor of the patentee in the patent infringement proceedings, and the defendant was ordered for permanent injunction and damages of RMB 150, 000; the related patent was held valid in the patent invalidation proceedings. - Staubli v. Changshu Textile (2010), patent infringement litigation and patent invalidation, Suzhou Intermediate Court (First Instance) and Jiangsu High Court (Second Instance), representing the plaintiff (patentee). The Court decided in favor of the patentee in patent infringement proceedings and the defendant was ordered for injunction and damages of RMB 250,000; the related patent was held valid in the patent invalidation proceedings. This case was designated as the Top 10 Intellectual Property Cases in Jiangsu Province in 2013. - IEE v. Golden Times (2013), patent infringement litigation and patent invalidation, Beijing Second Intermediate Court (First Instance), representing the plaintiff (patentee). The infringement litigation was settled before the Court and the defendant agrees to stop the infringing activities. - Wang He v. IEE (2014), patent infringement litigation and patent invalidation, Shenyang Intermediate Court, representing the defendant. The patent at issue was invalidated in the patent invalidation proceedings, and the plaintiff withdrawn the infringement case. - Kubota v. Patent Reexamination Board of the SIPO (2010), patent administrative action, Beijing First Intermediate Court (First Instance), Beijing High Court (Second Instance), and Supreme Court (Certiorari), representing the plaintiff (applicant). The High Court reversed the re-examination decision unfavorable to the applicant and remanded it to the SIPO for further examination. - Kaneka v. Patent Reexamination Board of the SIPO (2013), patent administrative action, Beijing First Intermediate Court (First Instance) and Beijing High Court (Second Instance), representing the plaintiff (patentee). The Intermediate Court reversed the invalidation decision unfavorable to the patentee and patent was held valid. - BOE v. Patent Reexamination Board of the SIPO (2014), patent administrative action, Beijing First Intermediate Court (First Instance) and Beijing High Court (Second Instance), representing the plaintiff (applicant). The High Court reversed the re-examination decision unfavorable to the applicant and remanded it to the SIPO for further examination. - Panasonic v. Yinzhou Jingneng (2011), patent invalidation, patent Reexamination Board of the SIPO, representing the invalidation petitioner. The Board held the design patent invalid because the patent was in conflict with the previous trademark right of the petitioner. - Bayer A/G v. Novo Nordisk A/S (2011), patent invalidation, patent Reexamination Board of the SIPO, representing the invalidation petitioner. The Board held the design patent partially invalid. - P&G v. Ruan Shixing (2012), patent invalidation, patent Reexamination Board of the SIPO, representing the invalidation petitioner. The Board held the design patent partially invalid. Mr. Piao joined Liu, Shen & Associates in 2013. He specializes in drafting patent application, patent prosecution, re-examination, patent invalidation, patent validity and relevance analysis, FTO analysis with a focus on mechanical engineering, display device, image forming apparatus and automobile. 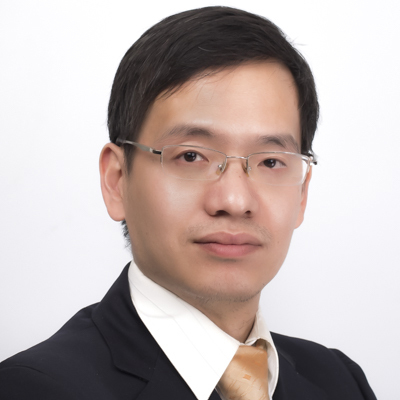 Mr. Piao qualified as a Patent attorney in 2014, and has been registered as an attorney in Liu, Shen & Associates from 2015. Mr. Piao acquired his master's degree from department of Physics of Beijing Normal University in 2010, majoring in condensed matter of physics. (2018) Wanda film, Samsung (China) V. Central China Display patent infringement litigation, representing defendant in patent invalidation procedure, all claims invalidated. (2018) Contec Medical V. ChoiceMMed patent infringement litigation, representing defendant in patent invalidation procedure, all claims invalidated. (2017)Sunstar v. Suzhou Bafang, patent Invalidation, representing the patentee, the board held all claims of the patent valid. (2017)Attending ACPAA(All-China Patent Attorneys Association) – KPAA(Korea Patent Attorneys Association) 2017 annual meeting and seminar.